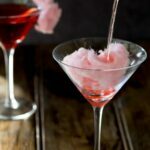 Fairy Floss Martini. A delicious cocktail that adds a bit of theatre to your night! This has a mixture of tart fruit and sweet sugar. Making it a delicious twist on your normal cocktail, plus it is fun. A bit of bar theatre without the need to throw bottles in the air!!! This isn’t quite up with Heston Blumenthal but I still think it is fun to make. So pretty, and the wonderful thing about this cocktail is you could easily adapt it, say if you were having a hen party or bridal shower. You could switch up the colour of the fairy floss (and even use a different base) and totally change the colour. So I switched out for cranberry juice and a squeeze of lemon. Perfect! And as for the name. Who knew that this spun sugar was called so many things!! Growing up in the UK we knew it as candy floss, here in Australia it is known as fairy floss. But my three cousins who lives in the states calls it cotton candy. 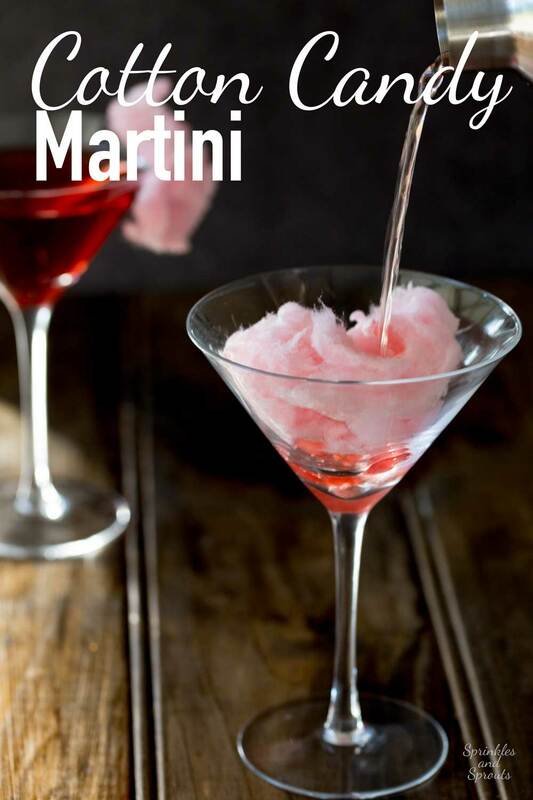 So is this a Candy Floss Martini??? 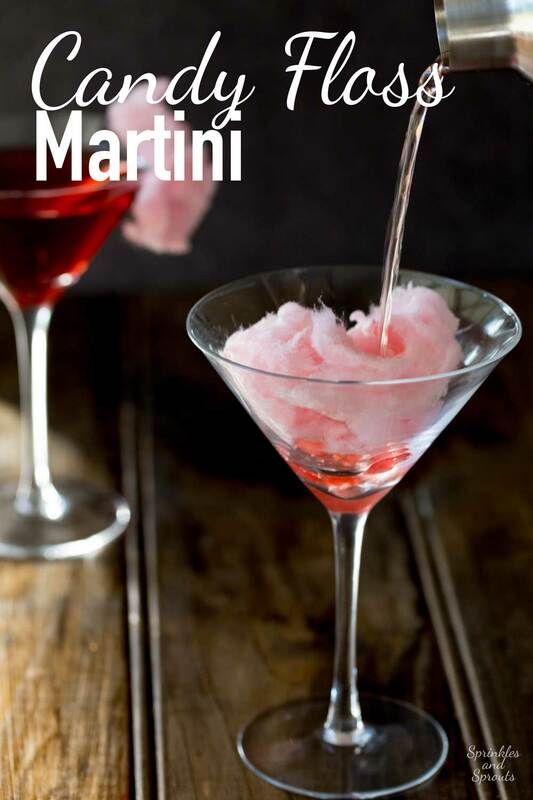 Is it a Cotton Candy Martini? 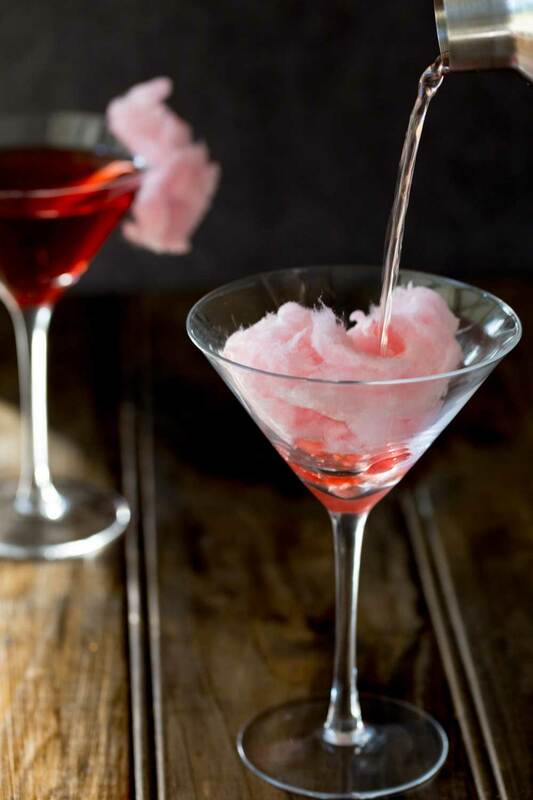 Or should it be called Fairy Floss Martini? Mix the vodka, cranberry juice and lemon juice together in a shaker with plenty of ice. 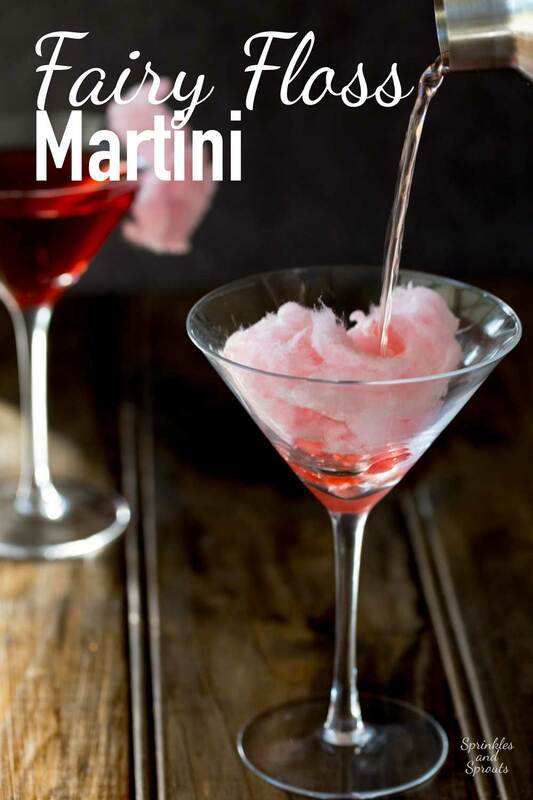 Add the fairy floss (cotton candy/candy floss) to your martini glass. Hi Claire! You make the most colorful martinis! Gary would be appalled by this as he is a purist when it comes to martinis. Me, on the other, not! 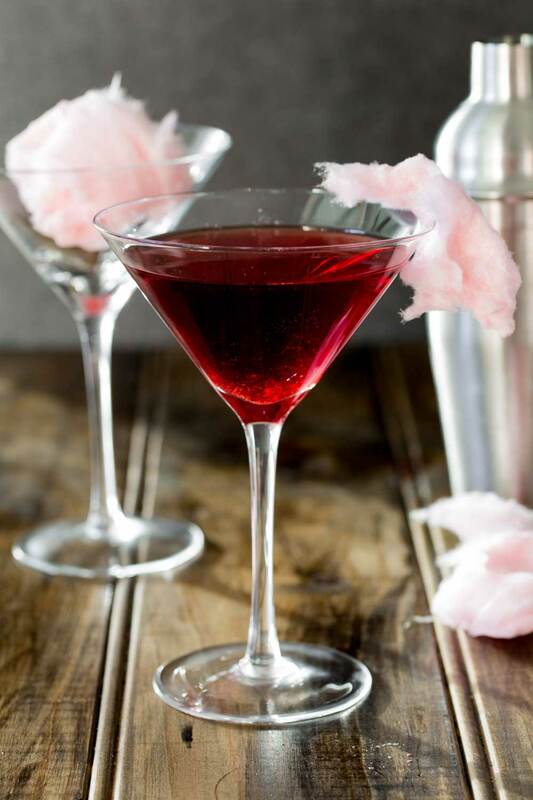 I haven’t had cotton candy since I was a kid and what a playful drink! After all, shouldn’t drinks be playful? I was given a fairy floss (as they call it here) machine for Christmas by our neighbours. It is so much fun to see the floss form!! !